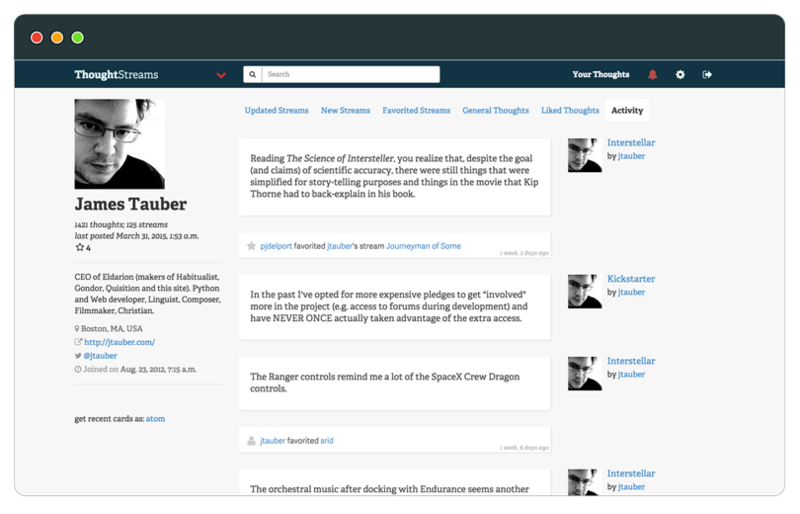 A publishing platform that’s perfect for thoughts that develop over time or public notes that are more than a tweet and less than a blog post. 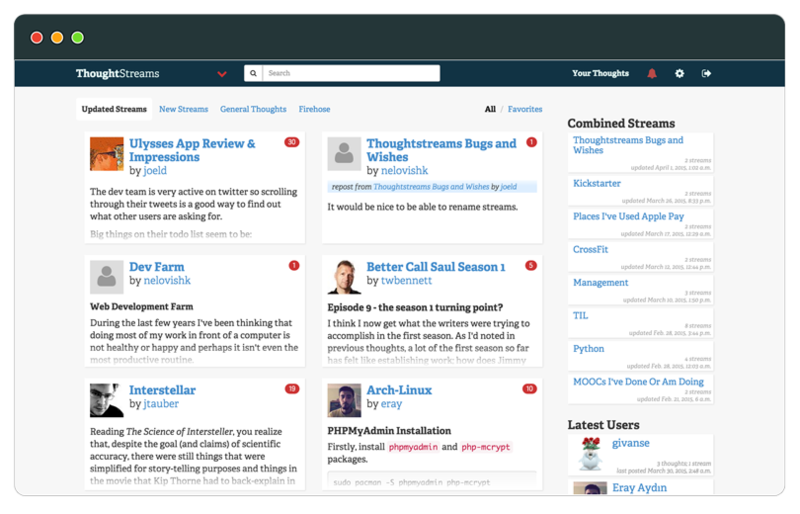 ThoughtStreams lets you quickly capture and share thoughts, ideas, experiments and observations. There’s no restriction on the length of each post and Markdown is fully supported. At the same time, ThoughtStreams encourages you to post thoughts as you have them without feeling the pressure to fully polish your ideas before sharing them like you would in a blog post. Thoughts can be reposted between streams (including reposting other people’s thoughts into your own streams) and combined streams can aggregate different people’s thoughts on a topic.